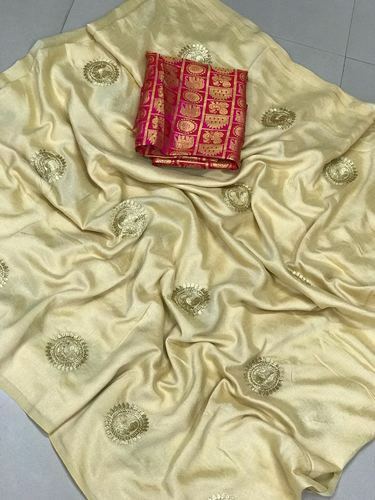 Since our inception in the year 2015 at Surat (Gujarat, India), we “Vastrangam” are engaged in manufacturing and trading a beautiful and trendy collection of Designer Saree, Ladies Kurti, Lehenga Choli, Salwar Suit, Designer Gown, Dress Material, Silk Saree, Embroidery Saree, Cotton Saree, Anarkali Suit, etc. Owing to their smooth texture, fade resistance, alluring patterns, beautiful shades and impeccable finish, our offered products have become the foremost choice among our customers. Guided under “Mr. Praveen Pandey and Mr. Vishal Shah”, our firm has shown a determined growth rate, which has helped us to acquire a decent stature in the market. It is because of their vast industry information and regular motivation that we put our best effort and try to achieve the company goals on time while keeping up with the fame and awesome track record that we have earned in these years.